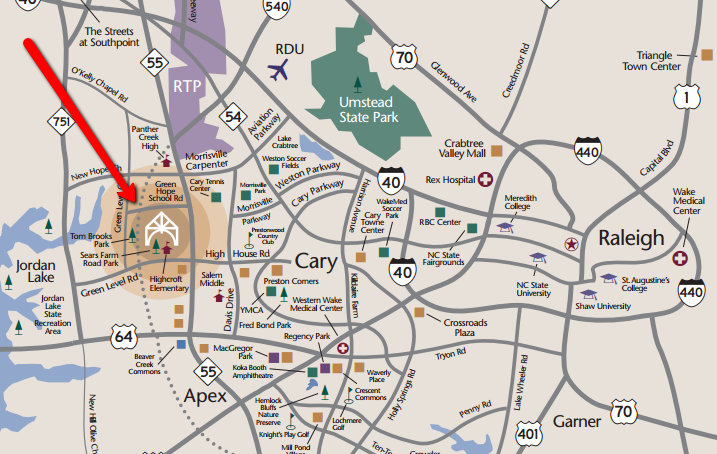 Cary is located west of Raleigh and only a decade or so ago was considered a suburb of Raleigh. Since then, it has grown into a thriving Town of 162,000. Two major reasons for this growth stem from the proximity of Cary to the Research Triangle Park and the Raleigh-Durham International Airport. Downtown has grown the most in recent years with the addition of a town park, Cary Theater, the Cary Arts Center, and handfuls of local shops moving into the area. A farmer’s market takes place in downtown on weekends, as well as several annual arts and crafts and food truck festivals. Cary offers a number of private and public schools, and being nestled among several universities the population shows that two-thirds of the adults hold college degrees. The weather in Cary is relatively mild, too, ranging from 30-50 degrees in January to 70-90 degrees in July. But you get all the beauty of the changing seasons, including a small amount of snow, the changing leaves and beautiful summer blossoms. Cary has over 100 miles of Greenway paths and 50 multi-use parks connected across the town. Greenways are linear pieces of lane set aside to preserve open areas located in floodplains, along wooden streams, and create a beautiful place to walk, run, and bike. 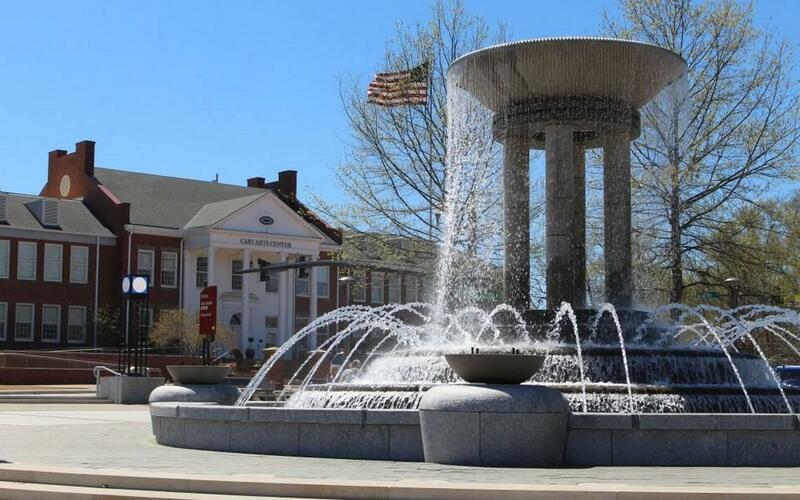 But more than any demographics, averages, or lists can describe, Cary has that charm and hospitality of a Southern City. You have to experience it to understand and thousands of new residents cannot be wrong.